BMW has finally fixed the date to release their Laserlights, according to a BMW Blog report. The latest product is set for autumn 2014 and will be included in cars released later this year. BMW Laserlights redefine safety standards in automotive lighting. 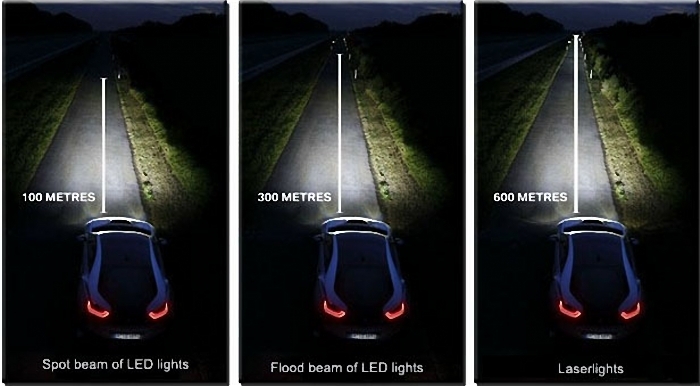 Unlike traditional light sources, BMW Laserlights provide 10 times greater lighting performance and high beams with a range of 600 meters, which is longer than 100~300 meters for most of the automotive LED lights. It is very lightweight and occupies little space in the headlight space, which meets the needs for a new scope of design potential. Due to its excellent energy efficiency, Laserlights can save up to 30 percent in energy consumption compared with traditional halogen lights. They are long enduring and have a high reliability rate. 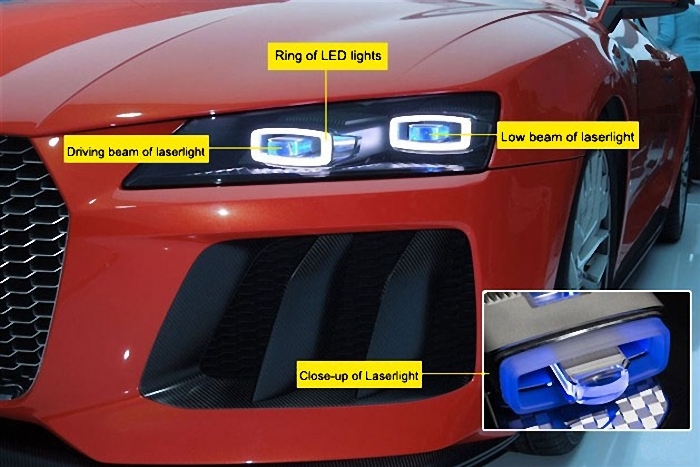 BMW will be the first automotive company to supply Laserlights in headlights.